This tremolo unit is modeled after the bridge used on the original Stratocaster® guitars and various re-issues. 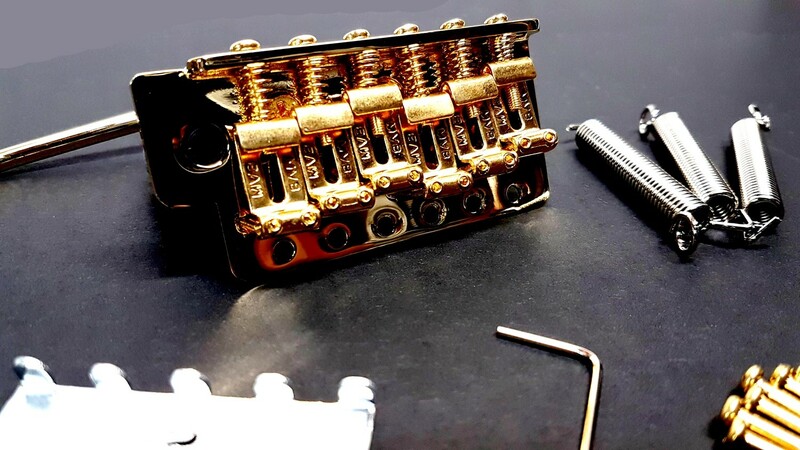 The vintage style tremolo is bolted to the body with 6 screws and has a string spread of 2-7/32" (56.36mm). If you are looking for a durable, high quality vintage style tremolo to retrofit your guitar, this is the one!